The Zentoku Foundation has assembled a team of volunteers who are proven leaders in the community. We look forward to sharing our love for the Japanese culture and hope it inspires you to contribute to a great mission like it did for us. Mark is currently President of NDS, an Orange County-based delivery company. He has worked extensively with non-profits, serving as Past President of the Yonsei Basketball Association and the South East Youth Organization (SEYO) and has been involved with many other non-profit organizations raising funds for their respective programs. Mark's duties will be to work closely with the Board of Directors in fundraising, and to determine and implement the organization’s strategic direction. Curtis has a 32 year career as Senior Finance Manager in Business/Finance Operations for Raytheon Company. He also served as Membership Chairman for Boy Scout Troop 378 on the Troop Executive Committee (TEC), which was responsible to ensure adequate funds for the troop's operation each year. Curtis' duties include fundraising, advising on budget strategy and financial matters, maintaining corporate accounts and providing financial reporting. Helen is the Director of Donor Engagement & Special Events for the Japanese American Cultural & Community Center. She is active in the community, serving on the Board and past president of the Nisei Week Foundation, Advisory Council of Kizuna, and Artistic Advisory Board of the Asian Pacific American Friends of Theatre. Helen is also a performing member of the Grateful Crane Ensemble and is the Artistic Director Emeritus of COLD TOFU Improv. She has produced several theatrical performances including musicals, sketch and improv shows, as well as special events. Helen also co-founded Yes, And…Productions that produced the musicals, Songs for A New World and A New World and Ordinary Days (Los Angeles premiere). Helen's duties include fundraising, creating and implementing the organization's activities, advising on programs and coordinating with the board. Born and raised in California and a USC graduate, Michelle launched her career in fashion after first working as a graphic designer for BCBGeneration. She conceptualized and developed a new direction digitally for the brand. She then moved onto lead strategy around digital campaigns for AEG, developing activations around various events and live performances. Touching both the digital and design spaces, Michelle combined her love for fashion with her love for community, which is what has made Uprising so prevalent to her. She is the Creative Director / Founder of Uprising, a minimally designed brand that is formulated with technologically-inspired fabric. The name Uprising comes from the idea to empower and uplift our community of #Uprisers. Michelle aims to highlight individual's American story to inspire others to continue to pursue their dreams. Michelle's duties include fundraising, advising on marketing and social media as well as the design and improvement of the Zentoku website. Gwen Muranaka is a fourth generation Japanese American and is senior editor of The Rafu Shimpo, a bilingual Japanese newspaper based in Little Tokyo. She manages the staff of the newspaper, overseeing a team of reporters, graphic designers and outside contributors in the production of the newspaper, as well as special-themed publications. Prior to The Rafu, Muranaka worked as a staff editor of the Japan Times in Tokyo, where she also illustrated the weekly cartoon "Noodles." She attended UCLA and received a BA in English Literature and also studied one year at Waseda University in Tokyo. She is active in Little Tokyo as a board member of the Little Tokyo Community Council. 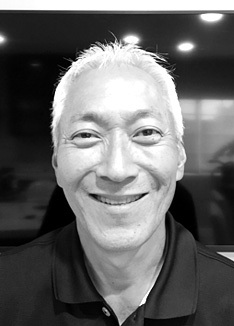 Muranaka started in community newspapers as assistant editor at the Pacific Citizen, the national publication of the Japanese American Citizens League. Ellen Endo’s professional experience has included key positions in journalism, television, and motion pictures. Within the Japanese American community, she is best known as a columnist and former English Section Editor and Managing Editor of The Rafu Shimpo, America’s oldest and largest Japanese American daily newspaper. Today, she owns and operates Hapa Consulting Services, specializing in strategic planning, media relations, and communications in the nonprofit, private industry, and government sectors. A fervent advocate of community volunteerism, Ellen serves as co-chairperson of the Little Tokyo Business Improvement District (LTBID) and sits on the Friends of Manzanar board of directors and Little Tokyo Community Council executive board. Michelle Ruzzi is the co-owner of M Communications, a branding and marketing agency in Orange County, CA. From marketing plans to app launches and everything in between, Michelle has done it all. As a second generation Japanese American, she’s still learning about her Okinawan background in order to pass her family’s stories along to her two children. And when she’s not playing basketball, she’s contributing her talents to the Zentoku Foundation. Masa has spent his entire career in the creative industry directing awareness campaigns from start ups to large corporate companies. His partnerships includes being a co-owner of M Communications. Masa’s volunteer time includes being on the Club Executive Committee at the Southeast Japanese Community Center. Here, you’ll find him committed to working with youth and families. His voice helps reinforce their mission to create meaningful family experiences. He has a strong passion for the future of the next generation. Masa’s duties will include the defining and executing engaging steps to bring more awareness for the Zentoku Foundation. Teresa Watanabe is a staff writer for the Los Angeles Times. Since joining the Times in 1989, she has covered education, immigration, ethnic communities, religion, Pacific Rim business and economics and served as Tokyo correspondent and bureau chief. She also covered Asia, national affairs and state government for the San Jose Mercury News and wrote editorials for the Los Angeles Herald Examiner. Her most personally meaningful story was a first-person account of her grandfather's arrest and incarceration as an enemy alien during World War II for the Los Angeles Times Magazine. A Seattle native, Teresa studied for a year at Waseda University in Tokyo and graduated from USC in journalism and in East Asian Languages and Culture. She is a board member of the Asian American Journalists Association - Los Angeles. Jodie is a staff writer for The Hawai’i Herald, A Japanese American Journal. She received a Bachelor’s Degree in Japanese, a Graduate Certificate in Accounting and is the recipient of the 1998 Okinawa Prefectural Government Scholarship for Okinawan Descendants. Jodie worked in retail and accounting for 15 years while writing as a volunteer. At the age of 43, after being diagnosed with discoid lupus, she decided to focus on her writing full-time. Jodie serves as an advisor on the board of The Sjögren’s and Lupus Foundation of Hawai’i and is the treasurer for two Okinawan performing arts schools of which she is also a student––Tamagusuku Ryu Senju Kai Frances Nakachi Ryubu Dojo and Ryukyu Ongaku Afuso Ryu Gensei Kai Hawaii Shibu. Twice a month she teaches Japanese language to senior citizens at 15 Craigside a retirement community in Honolulu.